A new show about Washington, DC will premiere on Friday except you won’t be able to find it on any network or premium cable channel. House of Cards starring Kevin Spacey and Robin Wright among others will be found exclusively on Netflix. The network reportedly spent $100M to produce the series which will release all 13 episodes of its first season this Friday. Netflix has already ordered a second 13 episode season. The remake of a 90′s BBC miniseries will revolve around Francis Underhill (Spacey), a Democratic majority whip who doesn’t get his promised cabinet position in a new Presidential administration. Knowing his way around the political game, he and his wife Claire (Wright), show their cunning, ruthlessness, and political prowess in their quest to achieve ultimate power. Spacey also commented on Netflix’s exploration into the next waive of TV viewing, saying that they will have a chance to do what the music industry should have done. Take a peek below at Willimon’s and Spacey’s remarks at the Red Carpet premiere from last night. Will House of Cards fall nicely into the current DC TV spectrum of Homeland, Scandal, and Veep? We’ll find out this weekend. ESPN’s network for women’s sports, espnW, celebrated the 40th anniversary of Title IX in style Thursday night, welcoming women athletes and their supporters to the Newseum for the unveiling of a photo mosaic project. 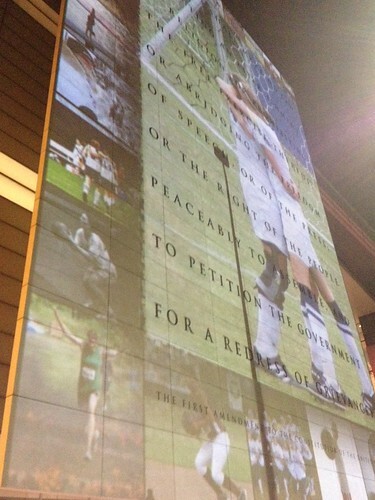 A video tribute to the largest-ever photo collection of women and girls’ sports images was projected onto the Newseum’s 74-foot high First Amendment tablet, delivering a statement about the opportunity to play as an expression of freedom for women. The mosaic includes photos of more than 3,000 female athletes of all abilities and achievement levels, ranging from small children to honorees from espnW’s Top 40 Athletes of the Past 40 Years. Photos were submitted online, along with quotes from women describing what Title IX has meant to them. Guests described watching the mosaic tribute as extremely moving, particularly for older guests who remember days when women and girls struggled to find support for participating in sports. “It’s a wonderful expression via social media of the power of sports,” said espnW Vice President Laura Gentile. 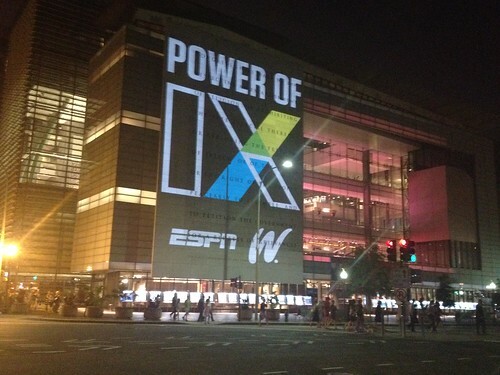 The Newseum event marked the culmination of a long day of activity for espnW here in DC. In the morning, the network announced a partnership with the US State Department to launch a global mentorship program enabling young women to come to the US and learn best practices for promoting sports among women in their home countries. In the afternoon, espnW partnered with Women in Cable Television and the Women in Sports Foundation to honor former high school and college athletes who have made a significant impact on society. In an agreement finalized today, the Newseum acquired the suit, tie and shirt that O.J. Simpson wore on October 3, 1995, the day he was acquitted of the murders of Nicole Brown Simpson and Ronald Goldman. The clothing items, which were originally offer to and declined by the Smithsonian Institution, have been at the center of a legal dispute between Mr. Goldman’s father and Mr. Simpson’s former manager. No word yet on when the items will be on display. 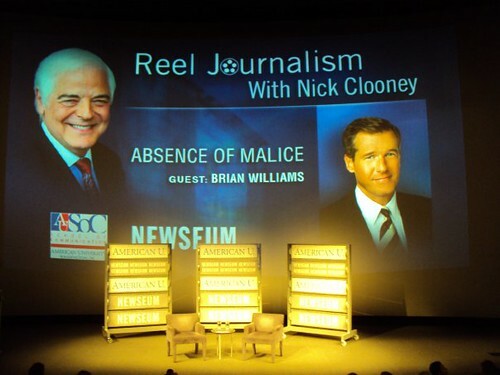 The series, started just over a year ago, was the brainchild of Distinguished-Journalist-in-Residence (for both the American University School of Communication and the Newseum), Nick Clooney. That’s right — the man who brought us George Clooney is the same man responsible for ushering in a new era of journalistic integrity and understanding — as long as you get a ticket before they sell out. My hands are shaky and my knees are weak. I can’t seem to stand on my own two feet … and it’s all because The King is BACK! Well … he’s SORT OF back … and we can all thank the Newseum for that. Get ready to re-visit the days when Elvis reigned as the supreme ruler of the American music and pop culture scene at “Elvis!” The exhibit, opening March 12 (in celebration of what would have been The King’s 75th year), features stage costumes, professional/personal mementos, and archives from the Graceland collection in Memphis. Mark those calendars now so you don’t forget later! All music lovers are bound to enjoy this gem of Rock ‘N Roll history. 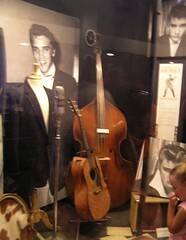 “Elvis!” will be on display at the Newseum through Feb. 14, 2011. Earlier today the Newseum hosted a by-invitation-only panel that brought together an eclectic array of powerhouses. On the stage was opening speaker Dulé Hill (who referred to his former role on West Wing), moderator Tom Brokaw (who led a smooth discussion and even pitched a few jokes along the way), and panelists from columnist Kathleen Parker, Chancellor Michelle Rhee and Newark Mayor Cory Booker to Representative Anh “Joseph” Cao and rocker/budding philanthropist Jon Bon Jovi, to name a few. Ah, the beauty of living in DC. Last Saturday, my wife and I decided to take some family members out to the Newseum on Pennsylvania Avenue. It was the first time I’d been able to visit the place since a pre-pre-pre-opening tour I’d had back in 2006 (when there were practically no displays in place, just the news van and the Checkpoint Charlie tower). And, for the record, the Newseum hooked us up with tickets; even so, I think the museum could be worth the full $20 admission price. And yes, I said ‘could.’ I’ll qualify that later for you. The building itself is a marvel of architecture. Designed by Polshek Partnership Architects, the combination of open space, glass and concrete blends well within the museum. The mix provides division for each contained exhibit (permanent and visiting), yet bleeds back into the open air of the general concourse. I suppose I could say it’s like the news field and media blending with the openness of life and all that, but why bore you? 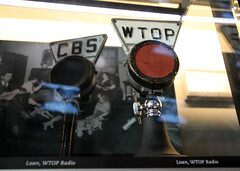 Sorry we’re a bit late in reporting this, but thanks to WTOP, you can visit the Newseum for half price during the month of August. Half price! Seeing as how tickets normally run you a whopping $20, this is a great opportunity to save some cash and see all the museum has to offer. In order to get the discount you simply have to mention “WTOP” at the ticket desk or you can purchase them online here. With the weather being as gross as it’s been lately, this is a perfect indoor activity to keep your clothes from becoming drenched in sweat. Is the Newseum worth $20? Eh, not really in my opinion. Is it worth $10? Totally. Go check it out. Thanks, WTOP! Max told us about his experience getting his hands on a commerative WaPo edition about Obama’s win, and Tom mentioned yesterday that the Newseum had an assortment of the papers from around the world. So I’ll take a moment to shamelessly mine both posts for my own. If you couldn’t get a paper, you can console yourself with the fact that the Newseum not only has a rotating collection of today’s front pages from around the world, but they also keep an archive of front pages from earlier significant days. The most recent, of course, is Voters Elect America’s First Black President, so you’ll be able to go back and look at them whenever you like. Including our home town paper’s front page from that day. I’m sure the WaPo lawyers would say printing this out and framing it violates their copyright. I’m sure there’s also plenty of folk who would insist this falls under fair use. I’m merely saying that from a practical matter, there’s plenty of places where you can do a nice color print that will look the other way or – if they’re like the Kinkos I go to – will studiously ignore you in favor of chatting amongst themselves. Or just screen grab the sucker and make it your computer wallpaper. Who needs paper anyway? While Carl is bitching about the beer prices at Nationals Stadium, I’m wondering about prices at another DC attraction: The new Newseum. In the land of free Smithsonian museums, the Newseum is charging $20 per adult ticket with Carl’s favorite – a $2 convenience fee for those that dare buy online. 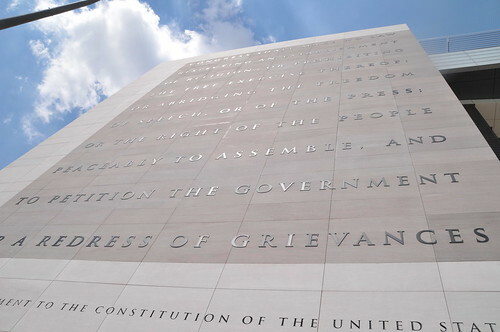 So at $22 per ticket, is the Newseum worth it? 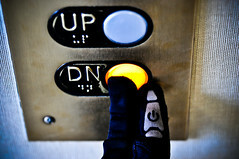 Like this story? Then subscribe to WeLoveDC today!